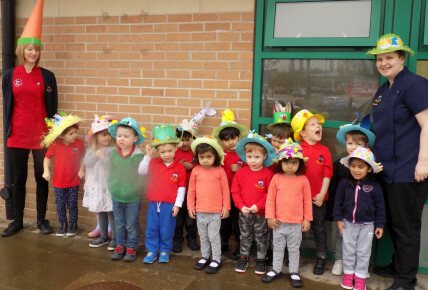 We have had a lovely busy and exciting month of activities and experiences during the month of March. 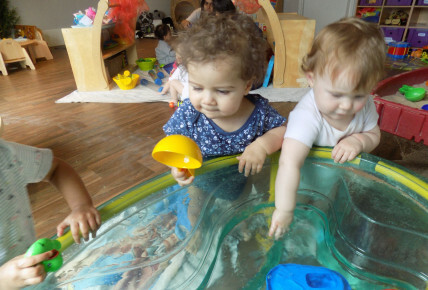 Science week - we had 1 week where every age group including our babies participated in a science activity every morning and afternoon. The children made paper mache volcanoes which were decorated and then erupted. The children planted beans using different types of soil/sand mixtures to see which would grow the best. We froze small world items in ice cube trays and containers so the children could chip away and try to release the frozen items. 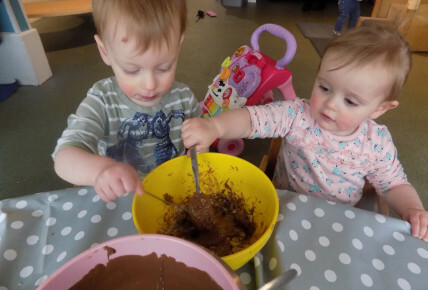 Easter - we celebrated Easter with our children - making lovely hand made cards for their families, Easter egg hunts outside in our garden, Easter bonnet parade's with the children's homemade creations, baking chocolate nest cakes/biscuits and putting them into lovely art & craft baskets. 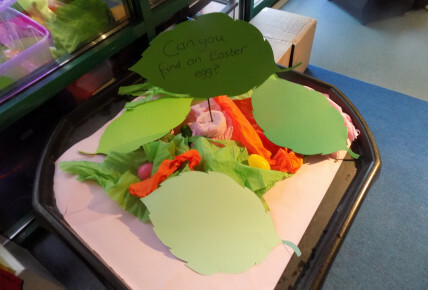 Our 3-5's had an amazing tuff tray with spring flowers, real life images of spring animals, plant growth, activities within the tray were pincers for the children to pick up small plastic eggs and to put them into colour coded trays, shredded paper with chicks and fluffy bunnies so the children could make their own nests. 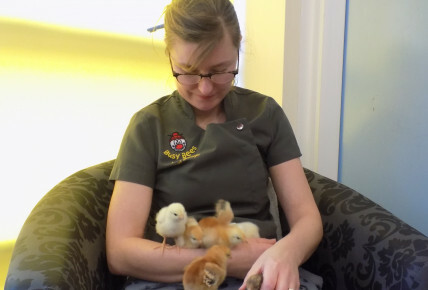 ​But the best thing of all was we had an incubator with chick eggs, the children were able to experience the life cycle of watching the eggs hatch and the chick's turn into fluffy feathered creatures. The children have loved having them in their base rooms getting up to mischief. 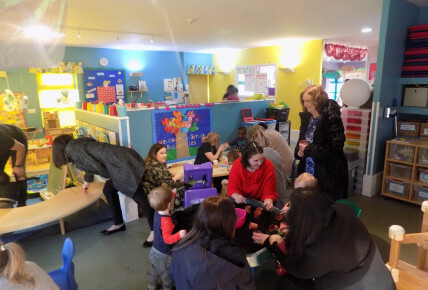 We also had visiting baby duck's which was an extra treat and very much enjoyed by the children and staff. We hope you enjoy the photo's of this lovely month of activities and experiences.